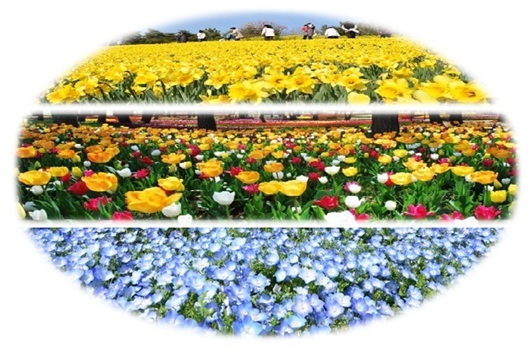 In spring, many kinds of flowers bloom beginning with daffodil, and tulip, nemophila and many others beautifully in turn at the National Seaside Park. During this period, it’s the best time to see flowers in full bloom any time and every time is worth visiting how many times you come. 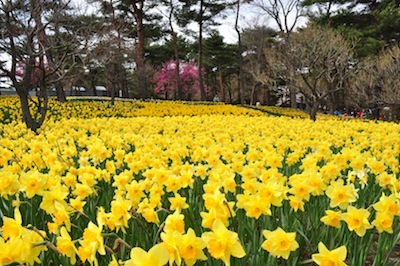 It’s fantastic to see about 600 kinds of 1 million daffodils spreading below the pine trees and they look like an enormous yellow carpet. Please appreciate the symphony of color and fragrance of daffodils. 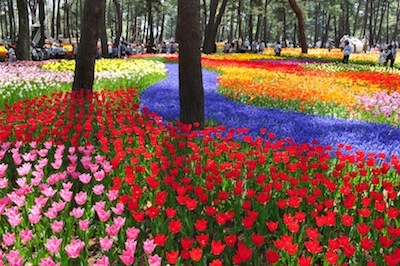 At ‘Tamago(egg) flower garden ’, more than 280,000 in 220 kinds of cute and colorful tulips showing off their beauty. The display of tulips along with pine trees is so unique in the Hitachino area that you shouldn’t miss coming and seeing the beautiful garden. 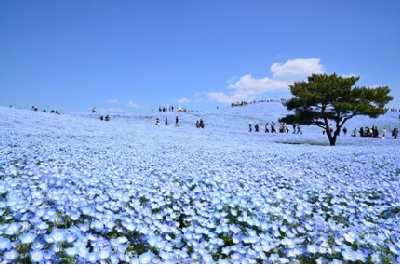 More than 4.5 millions of nemophila covers the ‘3.5 ha Miharashi-no-oka’Miharashi Hills, and that looks like a light blue tapestry of nemophia is rising to the sky. There’s nothing but a light blue carpet surrounding you as far as you can look around. Please come and see it for yourself. A picture is worth a thousand words.